Malbec, as every wine lover knows, has become THE calling card for Argentina's red wines. Producers in the Mendoza district, as well as a few other districts in the country, have planted this variety in large numbers and make hundreds of thousands of cases which are being consumed at ever-increasing numbers in the United States and other large wine markets. Inevitably, whenever a wine such as Malbec becomes a phenomenon, there are dozens of producers that make as inexpensive a bottling as they possibly can. Forget complexity with these wines, just look at them as throwaway bottlings, ones that can be consumed quickly and are pleasant enough, though hardly memorable. There are so many of these Malbecs on sale for $8-$12 in America and while they serve their purpose of helping consumers become aware of the variety, these are not wines that have any lasting qualities except for simple black fruit and a hint of spice. Still, the country's wine promoters rave about how the category of Argentinian wines is growing. Of course, there are $35-$50 bottles of Malbec that are glorious and show the potential of this variety. Made in small quantities from the finest vineyard sites and treated with the utmost care in the cellar, these wines are grand successes. I realize that these wines are not in demand, yet it is important for a few of Argentina's vintners to make wines such as these, if only to show the world that first-class Malbec is a reality. So Malbec can be an important wine or it can be - as it is too often these days - a one dimensional wine mass-produced for the market. So how nice to find a Malbec with complexity and a reasonable price; I discovered one last week - the 2008 Novus Ordo from Mendoza. Novus Ordo is a new winery located in the town of Tupungato in the Uco Valley in the Mendoza province. I tasted the winery's first release last week in Chicago with one of the winery's partners, R. Cary Capparelli, who serves as the company's President and Chief Operating Officer (Capparelli is from Chicago). The wine, I am happy to report, offers excellent ripeness and balance along with beautiful structure. Too many Malbecs lack this structure, meaning they will offer little pleasure after initial release. The 2008 Novus Ordo however, has ideal acidity which keeps everything in check as well as offering a nice freshness to the wine. There is some new French oak evident, but it is appropriate and does not overwhelm the appealing fruit. While the wine is approachable now, I think that this will be at its best in 3-5 years and I wouldn't be surprised to see this drink well for another year or two after that. I asked Capparelli the price, expecting him to tell me it was $22-$24 dollars, which would have been worth it. To my surprise however, he told me the retail price is $17. For me, this makes the 2008 Novus Ordo Malbec an excellent value. For just two to three dollars more than hundreds of other rather ordinary bottlings of Malbec out there, I'd recommend to just about everyone that they seek out this wine if they want to discover what a complex, layered, ideally structured Malbec is all about. Capparelli told me that other Novus Ordo wines will be released in the near future, including Chardonnay, Pinot Noir and even Tempranillo. Based on this initial release, Novus Ordo will be an Argentinian winery to watch. Note: the wine is currently available in a few markets, including Chicago and Atlanta with Phoenix in the works. I just read your online post "Are You Afraid of Italian Wines?" at winespectator.com and frankly, I'm disappointed you would write such a column. You are one of the most engaging and intelligent wine writers in the country, so I don't quite understand why you wrote what you did. Was it a slow news week for you? You mention that at a a restaurant you ordered a Pecorino Colline Pescaresi from Tiberio, while admitting that you hadn't heard of the Pecorino grape, the Colline Pescaresi zone or the producer Tiberio. Let's look at your claims. I can appreciate the fact that you weren't familiar with the Pecorino grape, as it's planted in small numbers primarily in Abruzzo and Marche. Ok, Chardonnay it's not. But you admit to enjoying the wine, calling it "dazzling stuff." Pretty nice compliment, so I'm thinking you're glad you tried this bottling. It's a nice thing when you discover something new, isn't it? As for not being familiar with the Colline Pescaresi district, alright, join the club. It's a small district in Abruzzo, named for the Pescara province. You apparently have a problem with this designation simply because it's not a household name. Yet how many wine drinkers know where the Ben Lomond or High Valley AVAs are located in California? Should wineries in these areas not use these terms simply because they're not as famous as Napa or Sonoma? As for not knowing Tiberio, so what? You must realize that there are thousands of artisan producers from Italy whose wines are imported into the United States. You said that you loved the wine, so now you know Tiberio and now you know about the Pecorino grape. And the next time you see a Pecorino from Colline Pescaresi, I'll bet you'll think about ordering it. Two major things here. Yes, there are hundreds of varieties used in Italy that are seen nowhere else in the world. Thank goodness for that! Do you really want a world where we drink wines made from the same 10 or 12 varieties? I would hope not! If you don't know the variety, you can always ask your server, sommelier or manager at the restaurant. If they have decided to carry particular wines - obscure or not - you would hope they would have learned about these offerings and would have trained their staff. If that's a problem, write about that, but don't write about the fact that you never heard of the Pecorino or Biancolella grape (as you did with another wine). Are Italian wines confusing? To some degree, yes. For some people, the names are too long and as they don't want to stumble over the pronunciation or order something they're not familiar with, they stick to the tried and true such as Pinot Grigio and Chianti. How unexciting is that? Vanilla, chocolate and strawberry will always be the best-selling flavors of ice cream, but isn't it great that you can also order pistachio almond or nutty coconut at Baskin-Robbins? Thank goodness that A-16 in San Francisco as well as hundreds of Italian restaurants in New York City, Chicago, Houston, Miami and other cities offer such a wide variety of Italian wines. Back to my question about Italian wines being confusing. There are hundreds of tiny DOC areas that few people know about; frankly people want to know how a wine will taste and what grapes are used. Education of Italian wines in this country has not been given the same emphasis that wines from France and California have enjoyed. But does that mean the Italians have to dumb things down? How did you want Tiberio to label its Pecorino Colline Pescaresi? As Bianco d'Abruzzo? That might have been easier for you and others to understand, but what would that have told you, except for the fact that it's a white wine from Abruzzo? The best wines the world over come from specific varieties and places. I think we all learn a great deal more when we are given more information to process. You may label it as confusing, but I prefer to think of it as valuable data. So Matt, please help your readers understand more about Italian wines. I realize that in an off-handed way, you did just that with this column, as you sang the praises of an excellent Pecorino and Biancolella. But as a respected wine writer, you should do more than complain. Write about the glories of these singular wines from the Italian peninsula. Your readers will thank you for it, believe me! 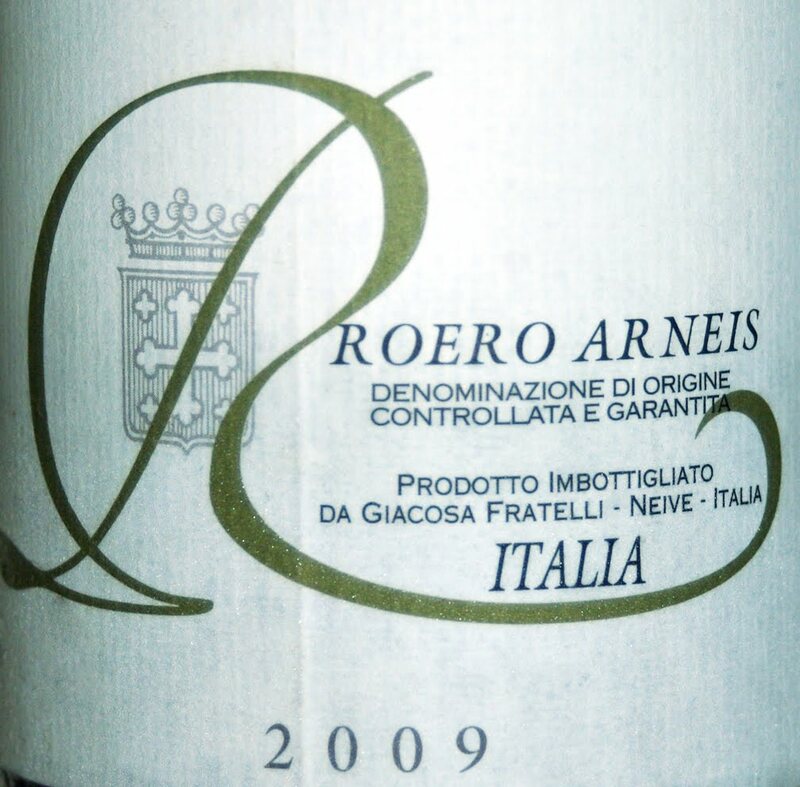 If you'd like, please also pay a visit to my blog Learn Italian Wines. I think you'll enjoy it - and you might even learn a few things! By the way, I think I'll enjoy a La Sibilla Falanghina Campi Flegrei tonight. It's a gorgeous white wine made from the Falanghina variety in the Campi Flegrei district, located a little ways out of Napoli; La Sibilla is one of the area's finest producers. But I'm guessing you already knew that! There has been a lot of teeth gnashing lately over the recent election of Ezio Rivella as President of the Brunello Consorzio. It seems that some journalists believe this is a disastrous sign that could lead to all sorts of changes for this great Tuscan red wine. There may indeed be changes in store, but I for one, think a more measured response would be appropriate. Let me state that I am a traditionalist when it comes to Italian wines in general and Brunello di Montalcino in specific. More than anything else, that means aging the wine in botti grandi, large wooden casks that don't overwhelm the wine with notes of wood. There have been dozens of producers over the past 20 years or so that have decided to depart from this practice, opting to age their wine in barriques, small French oak barrels that deepen the color of the wine and add spicy, toasty notes to the final product. These producers also tend to pick their grapes a bit later than usual (when this is feasible - autumn rains can spoil these plans). meaning the acidity is a bit lower. That means the wine is softer in the finish, a style these producers believe will win them more customers world wide. While I do think that some of the modernists do produce very good to excellent Brunello (such as Valdicava and Fossacolle), I will almost always choose a traditional Brunello. These wines have a garnet and not a ruby red color, tend to offer higher levels of acidity (which make them better at accompanying a wider variety of foods) and most importantly, display the local terroir. 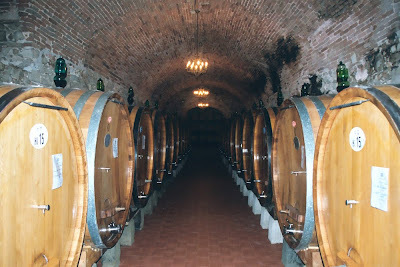 This last point is important, as the modern wines that are aged in barriques tend to lose their sense of place, as the spice notes from the small barrels often cover up the charms of the Sangiovese grape. Ezio Rivella is someone who has espoused a modernist style for Brunello to be sure. He was oposed by Fabrizio Bindocci, winemaker at Il Poggione, one of Montalcino's greatest traditional producers. I clearly would have preferred that Bindocci win the election, but it didn't happen. So now many journalists who favor traditional wines are sounding the panic button. 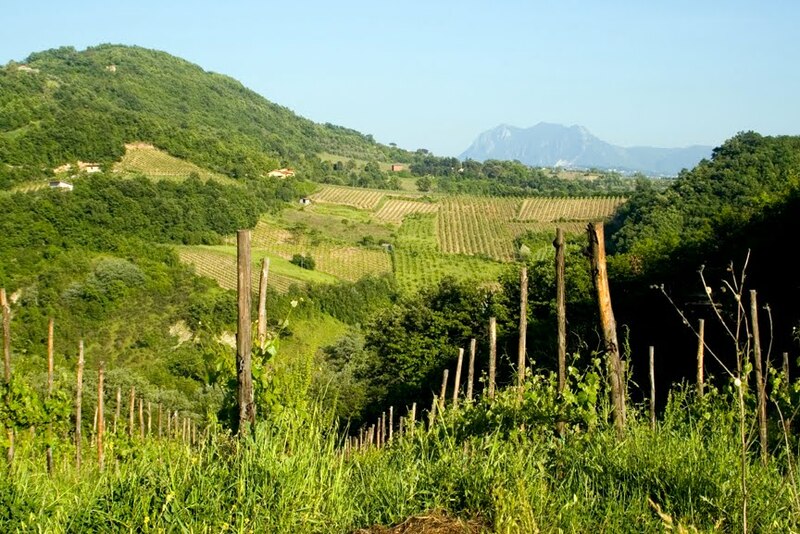 Could there be dramatic changes for Brunello under Rivella's watch? It's possible and it's interesting to ruminate about such things. But too many people are sounding like politicians here in our country as when the opposite party takes office. Things rarely turn out as badly as they think. I've left a few names out, but you get the point. Those are some of the great producers of Brunello di Montalcino, so as long as they're around and continue to craft traditional wines, the future of this iconic Tuscan red will be sunny. It's only natural for some people to worry about what lies ahead, but there's no need for alarm. 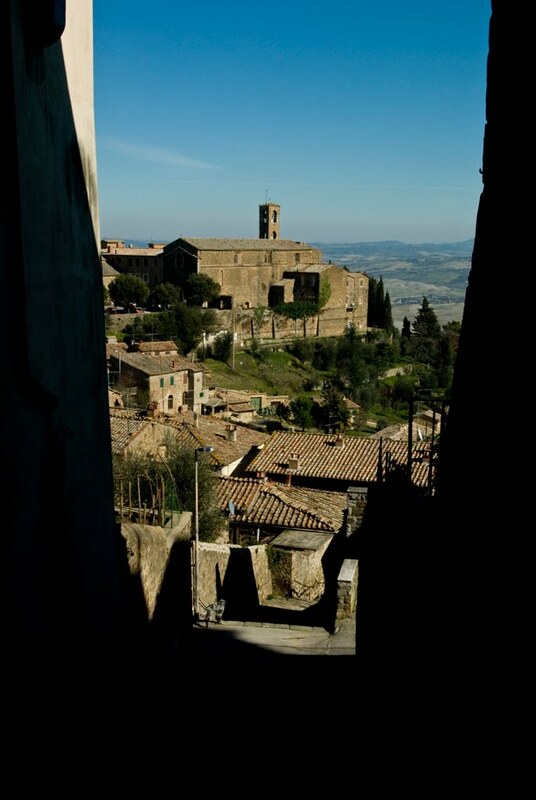 Instead, communicate to lovers of Brunello that traditional wines are alive and doing quite well in Montalcino today!